The President of India, Shri Ram Nath Kovind, today concluded his State Visit to Djibouti and Ethiopia with an address to the academic and student community at Addis Ababa University, the oldest university in Ethiopia. 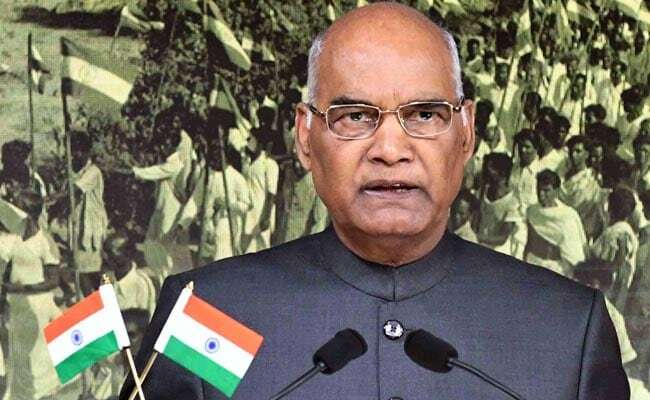 New Delhi: The President of India, Ram Nath Kovind, today concluded his State Visit to Djibouti and Ethiopia with an address to the academic and student community at Addis Ababa University, the oldest university in Ethiopia. The President hailed cooperation in education as the fulcrum of Indian engagement with Ethiopia. He remembered the time when Indian teachers were invited to teach in elementary and secondary schools in Ethiopia to help expand the country's education sector and these teachers dedicated their lives to instilling values and ideals among young school children. Today, the President said, 2,000 Indian faculty members are contributing to teaching and to academic research in Ethiopian universities. Indian academics comprise the largest and among the most valued expatriate teaching communities in Ethiopian universities. These academics have fostered research collaborations between universities of both the countries. The President said that every year India welcomes hundreds of Ethiopian students as part of its African scholarship programmes. In addition, there is also the Pan-African e-Network Project, a milestone in educational and capacity building collaboration between African countries, including of course Ethiopia, and India. Crafted in Addis Ababa eight years ago, the project connects 48 countries of Africa to India. The President said that just as Indian teachers have contributed to Ethiopian institutions, a steady stream of Ethiopian students have added to the scholarship and cultural mosaic of universities in India. Talking about the demographic profiles of both the countries he said, "65 per cent of India's people are below the age of 35; and 64 per cent of Ethiopia's people are below the age of 25. We have a similar set of challenges. These centre on equipping our young people and our students with the education and skills to compete in the 21st century economy." He ended his address by stressing that India and Ethiopia were long-distance running partners who should strive to overcome their hurdles together.